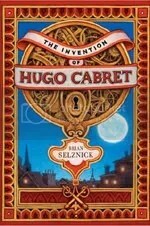 Brian Selznick’s two previous works of incredible illustrated historical fiction (The Inventory of Hugo Cabret and Wonderstruck) revealed his talent for creating this new genre and art form, as indicated by their bestsellerdom and garnered awards. In The Marvels, he does the same thing again, making the reader anxious to get to the end to find what is fact and what is fiction, and what is the whole story behind everything . . . But at the same time they want to savor every page and never want it to end. The Marvels is a book of two stories. The first is told almost completely in continuous imagery, a flickering movie-like effect of the boy Billy Marvel in 1766 who survives a devastating shipwreck and begins work at a London theatre. Then the reader gets to enjoy the Marvel family through the generations and the many great actors that are spawned until young Leontes Marvel who wants nothing to do with the stage. In the other story, nearly a century later, Joseph Jervis has run away from school and home and is looking for his uncle in London to stay with for a while and get away from everything. When he finds his uncle, he convinces him to let him stay in the wonderfully unusual house of Albert Nightingale which is kind of a combination of Hearst Castle and Winchester Mystery house, filled with wonders and delights, along with some spooky artifacts that all tell of the great history of the Marvel family. 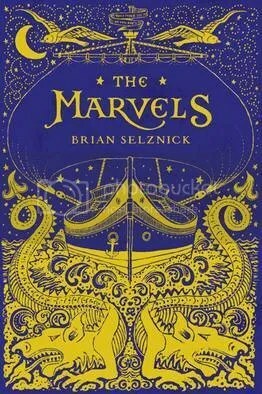 If The Invention of Hugo Cabret was a tale of history, and Wonderstruck was a tale of love, then The Marvels is a thrilling mystery tale that you won’t be able to put down. Originally written on January 17, 2016 ©Alex C. Telander. To purchase a copy of The Marvels from Amazon, and help support BookBanter, click HERE. The cute little giant panda Chu jumped on the scene in Chu’s Day to the delight of parents and children alike in a fun board book as a circus suffered the deleterious effects of Chu’s sneezing. 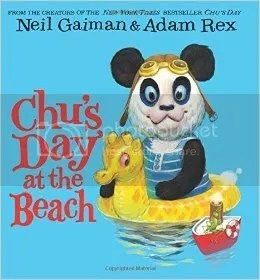 Now the duo – Gaiman and Rex – are back with the followup, Chu’s Day at the Beach, this time in full picture book format. Now, some parents might be thinking their kids won’t enjoy it as much since it’s not a board book, but when they see the finished product they will realize their kids are going to love this sequel just as much as its predecessor. As the title says, Chu joins his parents in a trip to the beach. As Chu is enjoying his ice-cream, he takes off his sunglasses and looks up at the sun, making his nose twitch, and then lets out a big squeeze that causes an even bigger problem than blowing away the circus and this time it will take some other characters to help him put everything back together again. The beauty of the picture book is in the larger artwork from Adam Rex which is vibrant and colorful and simply fascinating to study with the vast menagerie hanging out at the beach in their strange and entertaining anthropomorphic ways. The story’s fun; the artwork is astonishing; all around a great book. Originally written on January 30, 2015 ©Alex C. Telander. To purchase a copy of Chu’s Day at the Beach from Amazon, and help support BookBanter, click HERE. 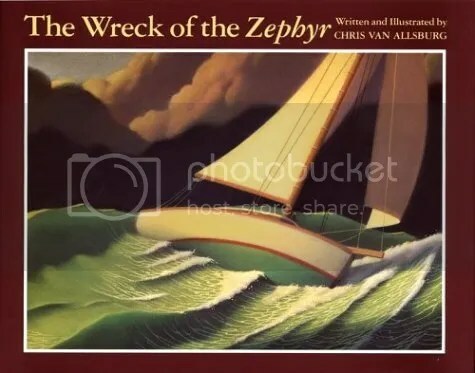 In 1983, acclaimed picture book writer and artist, Chris Van Allsburg, known for such unforgettable books as The Polar Express and Jumanji, shocked and awed readers with The Wreck of the Zephyr. Thirty years later, with this anniversary edition, he continues to amaze and interest new readers to his books. This is the unforgettable tale of a lone wrecked sailboat, whose origin story might be that it got washed up by some big waves, but it is too far from the sea for this to be likely. Another tale is one of a boy looking to be the greatest sailor of all time, which leads him to a place where boats don’t simply sail in the water, but also sail off into the sky. It is a wonderful story about a boy driven to impress everyone to the point where he causes his own downfall, much like Icarus. But it is also a story of magic and far off places that might or might not exist and sometimes only a select few get to know. Told with breathtaking artwork that speaks volumes, The Wreck of the Zephyr is a picture book to delight parents as well as children. To purchase a copy of The Wreck of the Zephyr from Bookshop Santa Cruz, and help support BookBanter, click HERE. 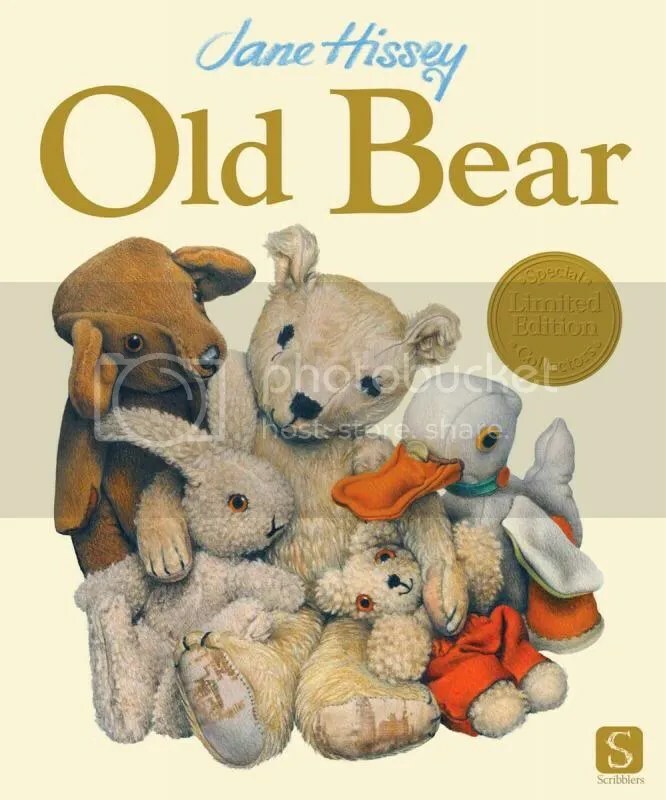 First published in 1986, Old Bear has been made available for children for a number of years, and has now been released in a beautiful limited collector’s edition. Bramwell Brown, a cuddly little bear, has lots of fun hanging out with his friends: Duck, Rabbit and Little Bear, but like his friends, he does miss Old Bear. Old Bear is no longer with them, because he was being handled too roughly by the children and so has been put up in the attic, away from those harmful hands. But the fluffy toys want their friend back, so they need to devise a plan to get up into the attic and rescue Old Bear and bring him back to them. It won’t be easy, but if they work together, they know they can do it. A wonderful story that teaches important lessons about working together, and how even if you fail and fail again, it’s important not to give up, but to keep on trying, and eventually you’ll succeed. Done with beautiful artwork that brings the cuddly characters to life on the page, Old Bear is a story you won’t soon forget. To purchase a copy of Old Bear from Amazon, and help support BookBanter, click HERE. Every once in a while a book will come along and get written and be released to the world and become something so special and unique that it will stand the tests of time, whether it was published last year, or fifty years ago, or a hundred years ago. 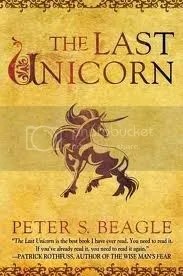 In the magical fairytale style of The Princess Bride, The Last Unicorn by Peter S. Beagle is certainly one of those ethereal books that generation after generation will read and enjoy for years to come. “The unicorn lived in a lilac wood, and she lived all alone. She was very old, though she did not know it, and she was no longer the careless color of sea foam but rather the color of snow falling on a moonlit night.” What she doesn’t know, but eventually discovers is that she is the last unicorn on earth. These magical beasts once roamed free and helped and healed those around them, but now she is the only one left. And even though she is old, she is not very wise and soon finds herself a member of Mummy Fortuna’s Midnight Carnival with no chance of escape. But then a most unique individual comes along, named Schmendrick the Magician, whose magical powers work most infrequently, and only when he really needs them to; and he frees the last unicorn. Molly Grue also joins the unusual travelers, who still has faith in fables and believes in legends, even though she has met a suspicious Robin Hood character and his band of overly-merry men. They journey far and wide across the lands, have many adventures in search of the other unicorns, and end up at the withered castle of King Haggard, where the Red Bull lies in wait for the last unicorn. Originally written on February 13, 2012 ©Alex C. Telander. To purchase a copy of The Last Unicorn from Amazon, and help support BookBanter, click HERE. The dynamic duo who’ve been entertaining fans for years with the fantastic comic book series Fables now turn their writing and illustrating talents to middle readers. Down the Mysterly River is a quaint, entertaining tale that straddles a perfect balance between a memorable fable or fairy tale, and a great kid’s story. Combining Bill Willingham’s skill as a storyteller and Mark Buckingham’s recognizable illustrations, this book is a delight for anyone, be they child or adult. Max “the Wolf” is the best of the best when it comes to Boy Scouts, so when he wakes up to find himself in a strange and unfamiliar place, the last thing he’s going to do is panic. He’s got his tools and his abilities to tackle anything. When a badger named Banderbrock shows up and starts talking to him, Max thinks it’s a little weird – maybe he’s dreaming? – but keeps on going. Before long he’s on the run from a group of hunters and their snarling hounds, picking up new friends along the way: Walden the black bear and McTavish the Monster (who looks quite a bit like an old barn cat). The question is will they be able to keep themselves from getting caught, and why is this all happening to Max anyway? 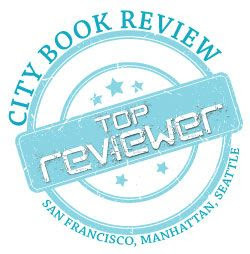 To purchase a copy of Down the Mysterly River from Amazon, and help support BookBanter, click HERE. Everyone knows what a nursery rhyme is; many of us can still remember a number of them, or at least what they were about; and still a few more of us can recall certain nursery rhymes word for word; but ask any of us what they mean or how they got made up, and you’ll be greeted with a look of dumbfoundedness. What exactly is the deal with an egg falling off the wall, or two kids falling down a hill, or even a cow jumping over a moon? In Nursery Rhyme Comics, the artists explore these familiar nursery rhymes with detailed illustrations, exploring the nuances and possible meanings behind various nursery rhymes. The book features great original and entertaining illustrations from many known comics’ artists and cartoonists, including Craig Thompson, Scott Campbell, Mike Mignola, Kate Beaton and many, many more. 50 well-known nursery rhymes are explored and elucidated upon by the skillful hands of 50 cartoonists, revealing these strange short stories to be the bizarre, confusing, and yet entertaining and unforgettable tales that they are. You may not find all the answers in Nursery Rhyme Comics, or the reasoning behind each of these nursery rhymes, but you will certainly be laughing out loud and enjoying yourself as you read them, and perhaps showing them to your kids, if you have any! To purchase a copy of Nursery Rhyme Comics from Amazon, and help support BookBanter, click HERE.